Can You Be Fired for Getting Injured at Work? Individuals hurt at work have a right to financial compensation for their losses. 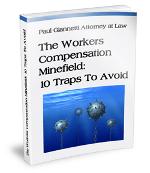 If you were hurt and then forced to leave or fired afterward, you may have even more compensation to collect. It is illegal, under federal law, for a company to retaliate against an employee who files a workers’ compensation claim against the business. It is your right to work in a safe environment. What can be done if you are facing these types of circumstances, though? The underlying goal here is to understand if you were fired as a result of your injury. This is never easy to prove, especially if you try to file a claim like this on your own. Instead, it is best to have workers’ compensation attorneys working for you. 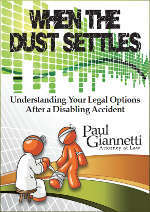 Our Albany workers’ compensation lawyers at Paul Giannetti Attorney at Law can offer you guidance. Can You Be Laid Off for Filing a Workers’ Compensation Claim? There are various rules that apply to this type of situation. Let’s say you fall at work. You injure your leg. You file a workers’ compensation claim for the loss. You go to the doctor and, over time, you heal. You missed a few weeks of work. You are ready to go back, but your employer fires you instead. Can this happen? It comes down to a few things. First, an employer cannot fire you because of your injury. If your employer’s insurance costs rose, for example, the employer cannot terminate your employment in retaliation for this type of action. Unfortunately, this can happen. An employer believes you are too risky. You may be more likely to file additional workers’ compensation claims in the future. They want to avoid this. So, they terminate your employment. This is illegal. It can even be considered retaliation under OSHA’s guidelines if you report the injury to your health department of OSHA directly. However, New York is an at-will state. This means that companies within the private sector have the right to hire or fire any person he or she wishes to. The discharged employee has few legal steps to take to stop this from occurring even in some situations where it is unreasonable and unfair to do so. Let’s say the employer is cutting costs and laying off numerous people. He or she can layoff you or even terminate your employment while you are out due to your injury. Your injury does not provide any protection from being terminated, in other words. You can be laid off or even fired for any reason by your employer during this time. How is this possible? Consider the fact that, as an employee who is receiving workers’ compensation, your employer is still paying for all of your benefits and perhaps your salary. This gives you the same treatment your employer is giving any other employee on payroll at that time. As a result, if the company is downsizing, the employer can terminate your employment in the process. It is important to work with your workers’ compensation attorney in Albany if you are facing termination or layoffs while you are getting workers’ compensation. The only protection you have in this situation is if the employer terminates your employer as a result of because you are receiving workers’ compensation benefits and because you are not working. If they would have fired you if you had been working anyway, you may not have a case to reverse the termination. However, you were still hurt on the job. And, as a result of this, you may be eligible for financial compensation for your losses. This includes covering your medical bills and covering the expenses related to your inability to work for a set amount of time. Even if you are fired, some benefits and coverage may apply to you while you are still unable to work. Our team can answer more questions about your situation during a consultation. Every case is different, and it is very important to fully understand what each of your options are before you move forward in settling a case. And, it is best to avoid confronting your employer until you speak to your attorney about your options in the matter. With over 20 years of experience and an aggressive style of fighting to protect the rights of our clients, you can depend on Paul Giannetti Attorney at Law for all of the legal support you need. We encourage you to schedule a free consultation to discuss your case at length. There’s no obligation, but plenty of opportunities to find out if you have a case. Call us now at 866-868-2960 or use our online contact form now.